What is a liberationist? If my freedom depends on yours, otherwise neither of us is truly free, then you are a liberationist. These artists, thinkers, and facilitators, have joined us on a journey to investigate #MutualLiberation, and create a space where despite different experiences, we can come together to build the kind of community we will need for the tomorrow we want, but do not yet have. adrienne maree brown is the co-editor of Octavia’s Brood: Science Fiction from Social Justice Movements and a writer, facilitator, pleasure activist, coach, healer and doula living in Detroit. Tarell Alvin McCraney is an American playwright and actor. He is the incoming chair of playwriting at the Yale School of Drama, effective July 1, 2017. He is also a member of Teo Castellanos/D Projects Theater Company in Miami and in 2008 became RSC/Warwick International Playwright in Residence at the Royal Shakespeare Company. In April 2010, McCraney became the 43rd member of the Steppenwolf Theatre Ensemble. He co-wrote the 2016 film Moonlight, based on his own play In Moonlight Black Boys Look Blue, for which he received an Academy Award for Best Adapted Screenplay. We are a collective of artists that celebrate, examine and advocate for life through music and poetry. Our art can take you on a journey from the Boogie Down to Berlin, from the border to the bodega. Our style emphasizes lyricism, rhythm and authenticity. We hail from the Bronx and have been rocking the mic since 2005. Jam No Peanut is a rapper, interactive media artist, and revolutionary bringing trap music and technology to the fight against mass incarceration and state terror. Known as the 'Ratchet Revolutionary', Jam No Peanut takes the sinister soundscape of the 'trap' and injects it with rapid-fire revolutionary lyrics, painting a picture of a apocalyptic society with no future for its youth- where “these days Harlem looks a whole lot more like Warsaw.” Also a Fulbright Scholar who is fluent in mandarin, Jam No Peanut's internationalist perspective resonates in his sound, as he switches between english and chinese in politically charged verses - over trap, baile funk, and global bass inspired rhythms from subcultures around the world. His work in music, technology, education and activism has been featured in New York Times, The Nation, VICE, XXL, Complex and more. Miriam A. Hyman is an actress/Hip Hop Recording Artist with the moniker Robyn Hood. Her latest EP "For Higher" was internationally released in Dec 2016. She's a 2016 Leonore Annenberg Fellowship recipient for "Performing Arts", a 2012 Yale School of Drama (MFA in acting) and a 2011 Princess Grace recipient of the George C. Wolfe award in Theater. Miriam recently closed a successful run of The Three Musketeers at Classical Theatre of Harlem playing the role of D'Artagnan. Other theatre credits include Vietgone/Rap Consultant/MTC, Cymbeline/Yale Rep, The Piano Lesson/McCarter Theatre,(Broadway World Best Actress nomination). The Tempest/LaMaMa, Richard III/Public Theater, and As You Like It/Two River. Film/TV- Most Beautiful Night (2017 Best Film/SXSW), Split, and The Congressman. Hyman currently plays the recurring role of M.E. Emile Cooper on CBS's Blue Bloods, and has appeared on the newest seasons of Odd Mom Out, Master of None, and The Unbreakable Kimmy Schmidt. She's also appeared on Red Oaks, Unforgettable, Falling Water, The Blacklist, Hostages, 30 Rock, Conviction, Law & Order, and The Wire. Andrew Shade has a burning passion that lies in the arts. Originally from Fort Wayne, IN, he resides in the heart of Harlem, helping to lead the way in building a more diverse and knowledgeable audience in the theatre world. He is the Founder & Editorial Director of Broadway Black, a digital platform dedicated to highlighting the achievements and successes of African-American theatre artists on and off the Broadway stage. Broadway Black has taken the theatre industry by storm & has been excelled by the likes of Ben Vereen, Jennifer Hudson, & Misty Copeland just to name a few.However, Shade feels the greatest achievement has been using his experience and knowledge of the industry to create a community celebrating his own. Recently awarded The Mountaintop Award by Actors Equity Association & BOLDNYC for being a trailblazer. "There is no greater joy than fueling & inspiring those who once thought the theatre was a foreign place to which they were not welcome," he says. He lives the life of the Broadway Black slogan, and shows what can happen "When The Theatre Goes Dark"
Jamila Reddy (pronouns she/her/hers and they/them/theirs) is Black queer Buddhist femme passionate about helping people live joyful, liberated, extraordinary lives. As a writer and producer, Jamila's work centers the liberation of Black people, POC, queer folks, trans/genderqueer/gender nonconforming folks, women and femmes. As a practitioner of Nichiren Buddhism, Jamila's contribution to the struggle for world peace is an ongoing cultivation of her best self. Her favorite pastime is making lists of her wildest dreams and figuring out how to make them come true. Aleshea Harris’ work has been presented a number of places, including the Costume Shop at American Conservatory Theater, Playfest at Orlando Shakespeare Theater, the Edinburgh Fringe Festival, La Comédie de Saint-Étienne, the Skirball Center, and at REDCAT. Harris is a MacDowell Fellow, Hedgebrook Alum, Djerassi Alum and is winner of the 2016 Relentless Award from the American Playwriting Foundation for her play, Is God Is. Is God Is was published by 3 Hole Press in the Spring of 2017 and will premiere Off-Broadway at Soho Rep. in early 2018. Her play, Fore! will tour France in the Spring of 2018. Janine Simon is a full-time Genius, at the Apple Store. She can troubleshoot your personal technology and wax poetic about the mechanics of life with her lyrical devices. Janine is a working artist who is native to the New York City hustle. GYPJAQ (JIP-JACK) - is a free-spirited artist who transcends all barriers, genres and expectations. With deep roots in performance art and a wildly eclectic sound, the Harlem-born performer provides his audiences with an eccentric and a wholly engaging experience. Complete with thought-provoking lyrics, strong beats, stellar vocals, high-energy dancing and meaningful moments, a GypjaQ show is more than just a performance; it’s a movement and a state of mind. The self-proclaimed King of aNvKai (a-new-k-eye), GypjaQ challenges his audiences to join him on a journey of enlightenment and to identify their truths. aNvKai is the name of a movement created by the performer that promotes acceptance and growth, asking the world to live in the idea that we are all important to one another and who we are is enough. Geoffrey Jackson Scott is a Brooklyn-based engagement strategist, cultural organizer, creative producer, and curator. With more than a decade in the arts and cultural sectors, Jackson Scott’s work centers around cultural equity and inclusion. He is Co-Founder and Creative Director of Peoplmovr, a communications and engagement strategy practice.Recent Peoplmovr Project Partners include: The Public Theater, The Play Company, Sundance Institute Theater Program, Ars Nova, Museum of the Moving Image, and Diller Scofidio + Renfro. New York bred with a Jamaican background, Chef Brittney- 'Stikxz' Williams implements her Caribbean influence in all her cooking. Staying true to her roots and love for all cuisines, she uses her techniques to fuse them into a melting pot of dishes. She believes that cooking should be shared with everyone. There are no boundaries when it comes to sitting down with others having great conversations and laughs over a meal created with love. Out of many, one people. NYC singer/songwriter Shyvonne embodies living art and takes you on a polychromatic journey like flipping through the pages of a storybook. Her music is an emotional rollercoaster of dance and tears, pulling from her dance, electrosoul, and hip hop influences to become a musical bouquet to establish a sound all her own, emotional house music. After graduating from Towson University, Shyvonne, actually began her career on the other side of the business, working in marketing for prestigious corporations such as BET, Bad Boy, and Def Jam, among others. Long hours and key connections gave the singer a broader perspective of the industry and a wiser approach to controlling her music and getting it out to the masses. VisionPledge is a for-purpose, non-profit, crowdfunding platform and community organization founded by millennial women of color, Aishah Alassan and Lisa M. Fennell. VisionPledge empowers and supports underrepresented, Black & Brown entrepreneurs & visionaries through crowdfunding, community partnerships, and small business education. VP connects the world with millennial change agents, while working with communities to close the generational wealth gap. Visit VisionPledge.org to get started on funding your vision today. Jonathan McCrory is an Obie Award-winning & Audelco Nominated, Harlem-based artist who has served as Director of Theatre Arts at Dr. Barbara Ann Teer's National Black Theatre since 2012. He has directed numerous productions, including Dead and Breathing, HandsUp, Hope Speaks, Blacken The Bubble, Asking for More, Last Laugh and Enter Your Sleep. In 2013, he was awarded the Emerging Producer Award by the National Black Theatre Festival in Winston Salem, North Carolina and the Torch Bearer Award by theatrical legend Woodie King Jr. 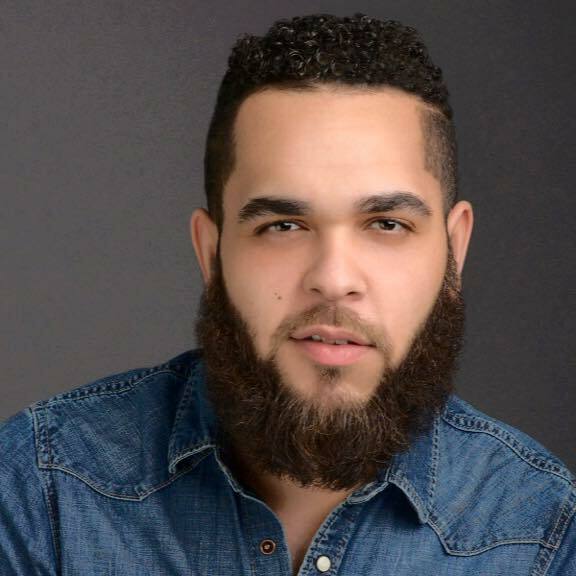 He is a founding member of the collaborative producing organization Harlem9, Next Generation National Network and The Movement Theatre Company. McCrory sits on the National Advisory Committee for Howlround.com, was a member of the original cohort for ArtEquity and is a proud Emerge NYC alumni. A Washington, DC native, McCrory attended Duke Ellington School of the Arts and New York University TISCH School of the Arts. To learn more, please visit www.jonathanmccrory.com. Natasha Sinha is a producer and dramaturg, focusing on new theatrical work. She is the Associate Director of LCT3/Lincoln Center Theater, which exclusively produces premieres (including Disgraced by Ayad Akhtar, Rude Mechs' Stop Hitting Yourself, Dave Malloy's Preludes, War by Branden Jacobs-Jenkins, and Bull in a China Shop by Bryna Turner), and co-founder of Beehive Dramaturgy Studio. Prior to joining LCT3, she was the Associate Producer at Barrington Stage Company. Natasha is also on the Advisory Boards of Musical Theatre Factory and SPACE on Ryder Farm, and has served as a judge on award committees, taught classes, and curated events focused on inclusivity. Selena Brown is an advocate for balanced living, mindfulness, and self-care. A lifelong learner, Selena earned her bachelor's degree in Psychology, holds master's degrees in Counseling Psychology, Performance Studies, and International Education, and is currently writing her doctoral thesis through Brown University's Department of Theatre Arts & Performance Studies. Through her work as a psychotherapist, yoga teacher, and mentor, she seeks to help others learn to listen to their authentic voice and find the courage to live their true path. Dell Howlett (choreographer) is full time professor in the NYU/Tisch School of the Arts in the Department of Drama's New Studio on Broadway. He is the recent winner of the prestigious Suzi Bass Award for his choreography for The CA Lyons Project. Directing/Choreography highlights include: WigOut (Choreographer, Studio Theater), The Wiz (Choreographer, Ford's Theater 2018), Crazy for You (Director/Choreographer), DREAM (composer Michael McElroy), All the Kids are Doing It, Connecticut Yankee in King Arthur's Court ( dir. Ian Belknap), Ragtime (dir. Erin Ortman), Assassins (dir. Kent Gash), The Boyfriend (dir. Brian Hill), Nine (dir. Kent Gash), and Tearing Down the Walls (dir. Daniel Beatty). Performance highlights include: Aida(Broadway), Andrew Lloyd Webber'sBombay Dreams (Broadway), Pippin(National Tour), West Side Story (Intl. Tour/La Scala Opera House). Dell teaches Ballet, Jazz, Movement Dynamics, runs the summer high school program, and does acting based movement work for a variety of other classes. He is the Artistic Director for YOUNG PERFORMERS OF AMERICA- working closely with his dear friend, Dina Slawson.